Thank you for your interest in Peak Analysis. Please complete and submit the form below and an ADInstruments representative will aim to get in touch within one working day. If you’d like to speak to someone immediately, office contact information is available from the contact page. 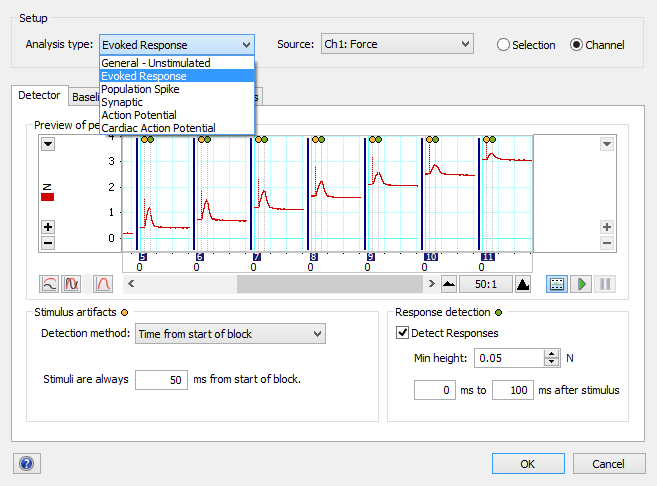 The Peak Analysis Module for LabChart provides automatic detection and analysis of multiple, non-overlapping, signal peaks in acquired waveforms. The module can be used either offline, to analyze peaks in existing recordings, or online, to analyze peaks as they are being recorded. Users can select from one of several analysis settings available for general waveforms and specific signal types. The Peak Analysis Module is included as part of LabChart Pro or can be purchased separately. Suitable for a wide range of signals. 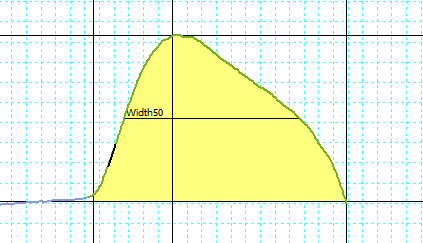 Calculates and reports a wide range of peak parameters. Graphical display of calculated parameters as continuous signals in LabChart channels in real time. Detects positive or negative peaks.